US$25 million – that’s the amount raised by Funding Societies in their latest round of Series B funding. With lead investor SoftBank Ventures Korea, other investors include Sequoia India, Alpha JWC Ventures (Indonesia) and Golden Gate Ventures. 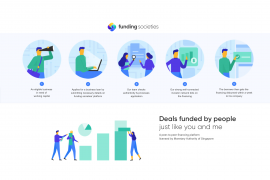 Funding Societies (also known as Modalku in Indonesia) is a Peer to Peer (P2P) lending platform gives Small and Medium Enterprises (SMEs) access to capital by connecting them with retail investors. Earlier this year, Funding Societies surpassed the $100 million mark in crowdfunded SME loans, while maintaining a default rate of less than 1.5%. 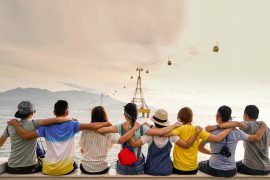 P2P lending has been growing in popularity in Southeast Asia, due to the difficulty small businesses face in securing funding to grow their businesses and manage cashflow. According to a recent study by Ernst & Young, UOB and Dun & Bradstreet, 65.2% of the SMEs in Southeast Asia do not have easy access to business financing. These small businesses cannot turn to traditional lenders like banks because they often lack collateral, have unproven track records, and need to pay prohibitively high interest rates. P2P lenders like Funding Societies addresses this gap by providing fast and flexible funding for the growth of local SMEs, while allowing retail investors to participate in the growth story of Southeast Asian businesses. In fact, after just three years of operation, Funding Societies increased its lender base beyond 60,000. The growth of P2P lending and the opportunities they provide for both companies and investors alike is an exciting prospect for the larger business eco-system. 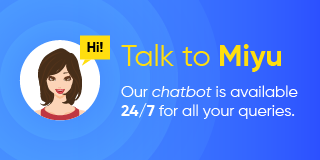 This achievement of raising the largest amount of money for a P2P platform in Southeast Asia joins a long list of achievements for Funding Societies: Including being the first to introduce e-signing of contracts, implementing auto-investment algorithms for lenders and launching a mobile app for borrowers and lenders.